Mainly used in polyamide and PBT, especially PA6, PA66, glass fiber-reinforced PA6, PA66.Nylon containing NP-100 can be used in all kind of injection and extrusion process and meet all kind of processing demands of polyamide, glass fiber polyamide. 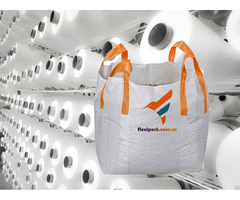 Packaging:25kg /bag, using paper bags with PE inner. Storage and transportation:Handle with care, keep airtight and dry. Posted By: Shouguang Puer Chemical Co.,Ltd. Business Description: Shouguang PUER Chemical Co.,Ltd. is a private joint-stock enterprise. It is professional in R&D, manufacturing and distributing various types of flame retardants. PUER collaborates with university and institutes to develop green eco-friendly flame retardants. We committed to providing high performance halogen free flame retardants to help our customers to realize successes via sustainable solution. We take innovation and sustainable development as our mission. PUER will always supply customized products for global customers' needs. We always offer best products and excellent service.